Does the No-Shampoo Method Cause Dandruff? We are an ever-emerging DIY culture, and while not an all entirely a bad thing, it can sometimes cause bigger problems. We find the best products and techniques by simple trial and error, but knowing when to stop using what is not working and trying something else is subjective. I may try something only once and know immediately that it won’t work but another curly may try a product and allow it a few tries before making her decision on liking it or not. Who is right in their method? It depends on the curly girl. Livaskew inquired about whether her no-shampoo method in our Curly Q&A is the path she needs to continue to take. No-shampoo causing dandruff? I am doing the no-shampoo thing and it is making my hair feel so much better, but is causing excessive dandruff? How to have nice hair without the dandruff? Are you sure it is dandruff? 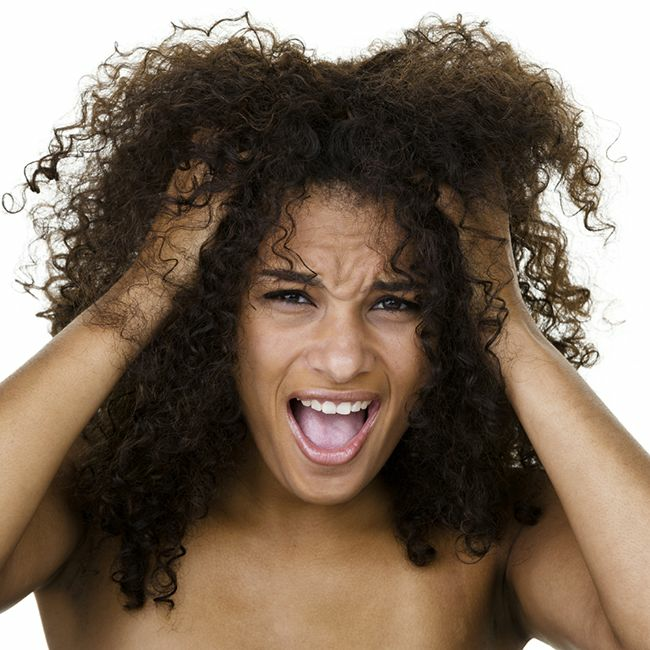 It could also be psoriasis, since both dandruff and psoriasis are quite similar and treatable. While many curly girls have turned their backs on shampoos, they are a necessary component of healthy hair care, and since there are several types (sulfate-free, moisturizing, protein-free) you may be able to find one you prefer. If you are unsure what it is and how to get rid of it, you can also enlist professional help from a dermatologists or trichologist. First off, you have to make sure it is dandruff and not something else like product buildup, because shampoo actually removes that along with sweat, dirt, oil, and pollutants. I ask because while any botanical conditioner should be able to cleanse your hair, some ingredients like non-soluble silicones need the use of a clarifying shampoo or a sulfate-shampoo to remove them properly. Check your conditioners and stylers to see if they have silicones, and if so that may be what is actually flaking or causing the flaking or you could just be sensitive to the formulas in one of your products. According to the Mayo Clinic, not shampooing enough may cause dandruff but that just means that the product you are using to cleanse your scalp is not properly removing the oils, skin cells, and dirt from your scalp and hair. Try a mild or sulfate-free shampoo and see if you notice a difference. As I alternate and shampoo twice a month, I co-wash weekly. That may also work for you without drying out your hair too much by the harshness of shampoo. I love tea tree oil and before I started the curly girl method I suffered horribly with dandruff. I would pour some sulfate-free or cleansing co-wash into the palm of my hand and add a few drops of tea tree oil and cleanse my hair. The dandruff was gone for months at a time as a result of the anti-fungal and anti-bacterial properties and it would actually soothe my scalp. Another method is to create a scalp treatment with tea tree oil and a carrier oil like jojoba oil, olive oil, or coconut oil. Take a small application bottle (dark colored would be best) and fill it up ¾ way with your carrier oil. Add 10-15 drops of tea tree oil and mix (shake) well. Apply to your scalp and hair and massage lightly before leaving in for a few hours or even overnight. Cleanse hair in the morning and style as usual.